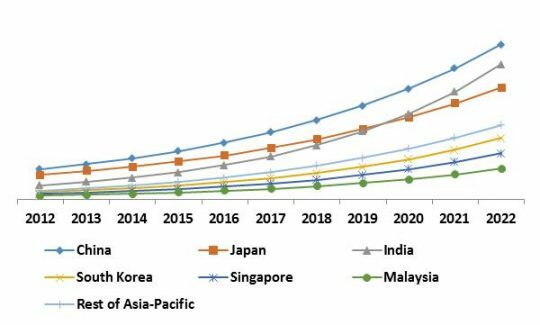 According to a new report Asia-Pacific Managed Security Services Market,the market is expected to attain a market size of $8.4 billion by 2022, growing at a CAGR of 21.1% during the forecast period. Based on the application type, intrusion detection/Prevention system segment has dominated the Asia-Pacific managed security services market $729 million in 2015. Endpoint Security would exhibit the maximum CAGR of 29.0% during the forecast period and hence, emerged as one of the promising application areas in managed security services market. In 2015, with a market share of more than 30%, banking and financial sector has emerged as the dominating segment in the Asia-Pacific managed security services market by vertical type. Additionally, Healthcare sector would witness highest CAGR of 22.6% during the forecast period (2016-2022). Large enterprises with a market share of around 50% held the dominant position in 2015, based on organization size. 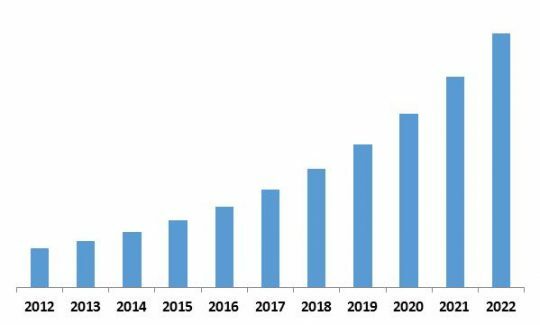 Among the deployment type, the maximum CAGR would be witnessed in hosted and cloud based deployment during the forecast period (2016-2022). 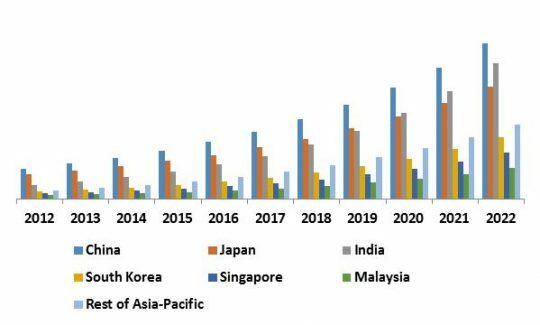 Based on country, China has dominated the Asia-Pacific Managed Security Services Market throughout the forecast period. India with the maximum CAGR of 25.8% and has emerged as the most promising country in terms of growth of managed security services market during the forecast period (2016-2022). The report has exhaustive quantitative insights providing a clear picture of the market potential in various segments across the countries in Asia-Pacific region. The key influencing factors of the Asia-Pacific Managed Security Services market have been discussed in the report along with the elaborated company profiles namely, IBM Corporation, HP Enterprise Company, Dell (SecureWorks) Inc., Cisco Systems Inc., Symantec Corporation, AT&T Inc., Check Point Software Technologies Ltd Intel Corporation and Computer Science Corporation.